A Count Me In (sign-up) Party is an event, party and/or other experience hosted and paid for by a Gateway family. Hosts come up with the event, determine who its for and how many people can "buy in" to attend. 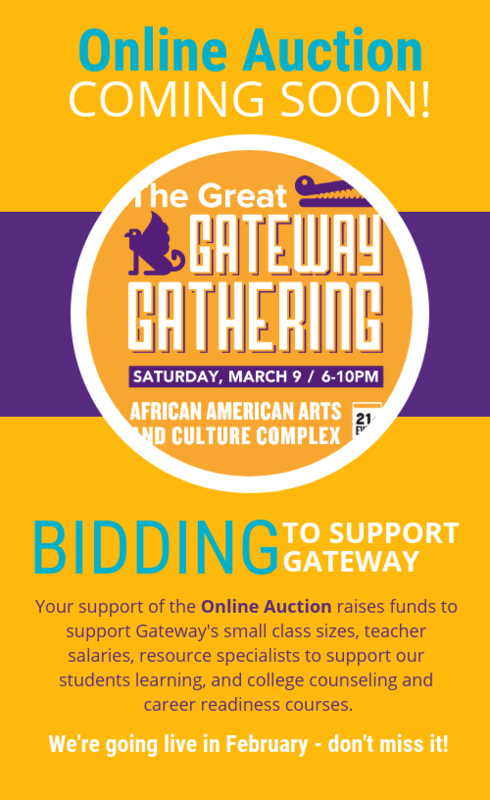 CMI parties are part of the Great Gateway Gathering's online and silent auctions. The "buy in" cost is a 100% direct donation to Gateway. In addition to raising money, these fun and creative events also promote community amongst families at our schools. Use the form below to make a Count Me In Party donation, including the location, date(s), and logistics for attendees.